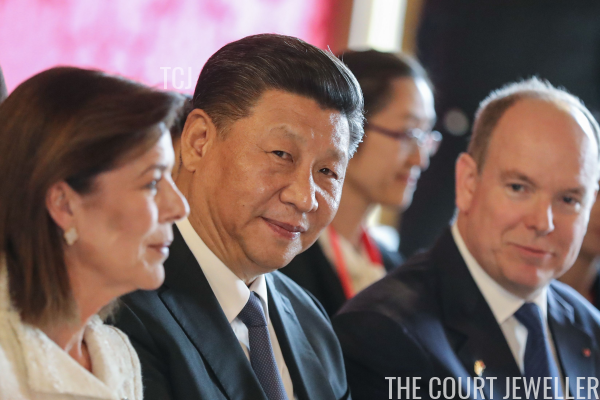 This weekend, an unusual diplomatic visit in sunny Monaco brought out royal jewels from both the princely family and their Chinese government guests. 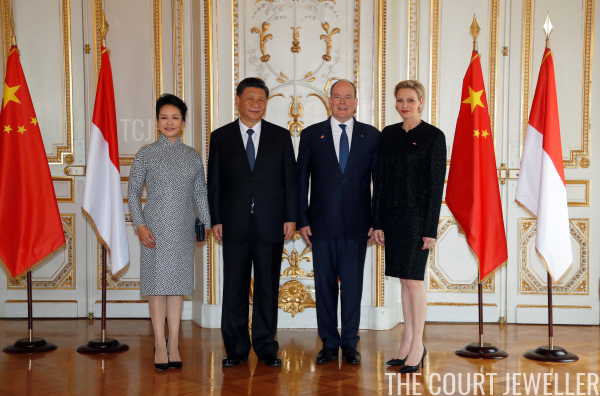 On Sunday, Prince Albert II and Princess Charlene welcomed President Xi Jinping of China and his wife, Peng Liyuan, to the Palais Princier in Monaco for a state luncheon. 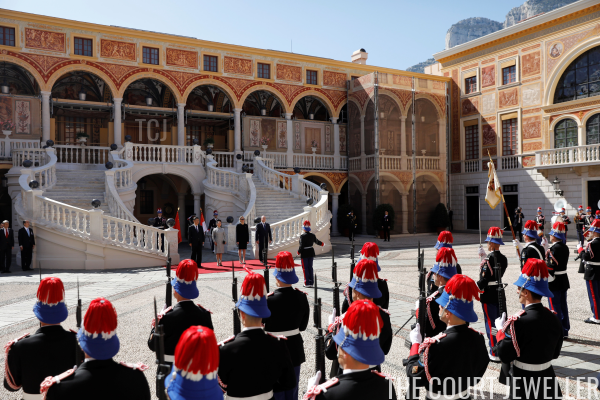 Diplomatic events like these are relatively rare in the principality, so it was fun to see Monegasque pomp on display for the occasion. 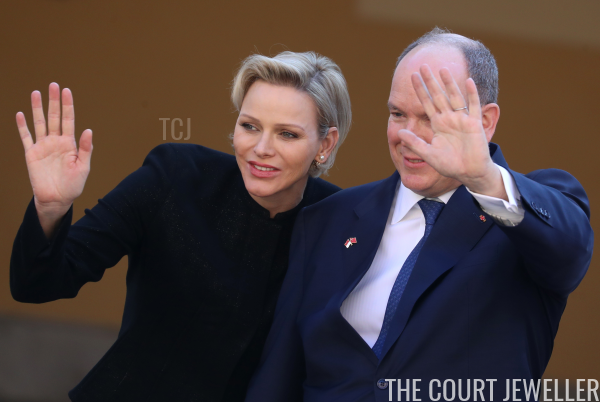 Albert and Charlene greeted their guests in the famous courtyard of the palace. Inside the palace, the couples posed for an official photograph. 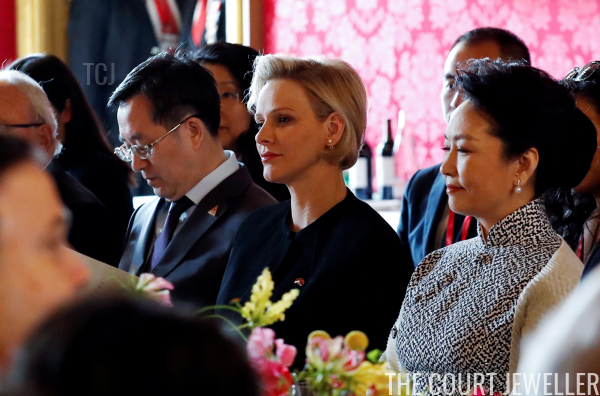 Afterward, they headed in to the official luncheon, which was also held inside the palace. 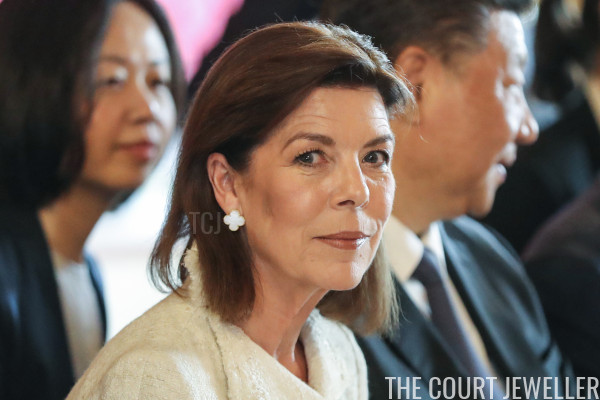 Princess Caroline was also among the guests for the meal. The jewels worn by all three ladies on the day were daytime-appropriate pieces with a formal touch. Charlene chose earrings in pearl and gold tones from Dior's Tribales collection. 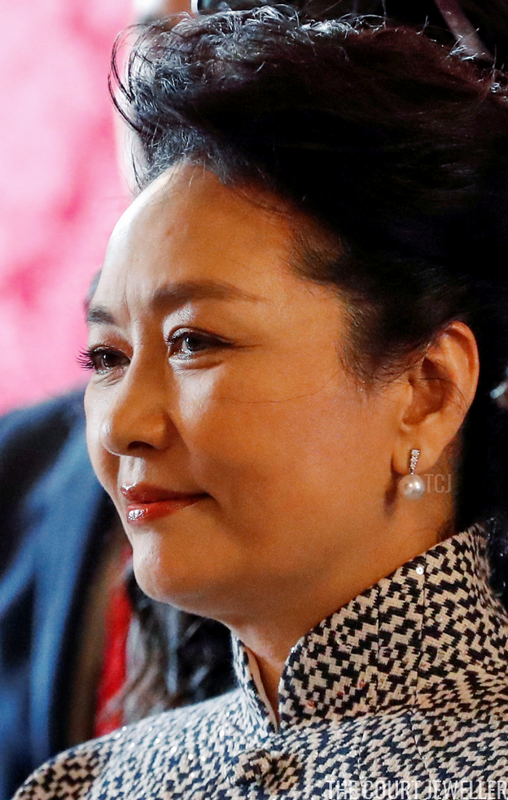 The First Lady also chose pearls -- round pearl drops suspended from modern diamond studs. 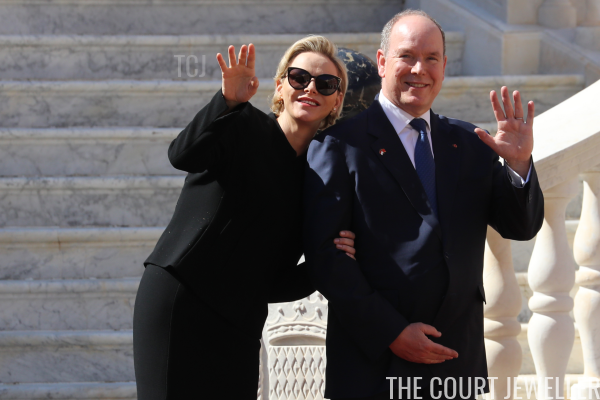 Caroline chose stud earrings from Van Cleef and Arpels's Magic Alhambra line -- a collection we've also seen often lately on the Duchess of Cornwall. 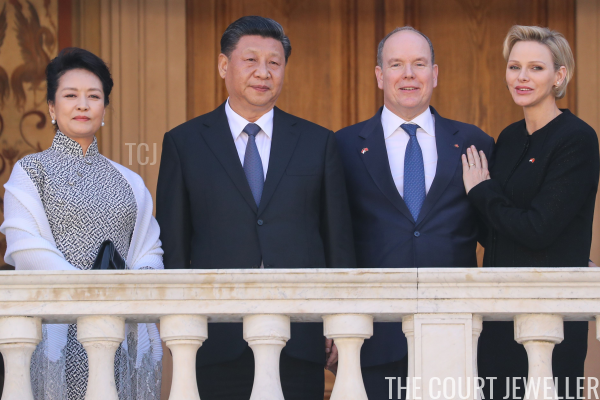 After lunch, the presidential and princely couples posed on the palace's famous balcony. 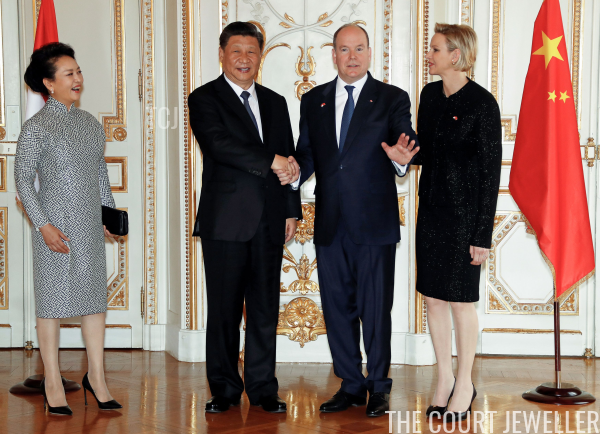 Albert and Charlene sent their Chinese guests off with an enthusiastic farewell. You'll also notice one more accessory here: Albert wore a pin featuring the Chinese and Monegasque flags on the lapel of his jacket.